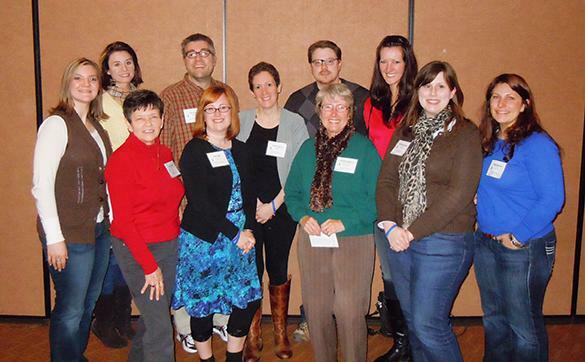 KEMPA is proud to be part of the JEA Mentoring program (http://jeamentoring.org/), sponsoring mentors in Illinois and Wisconsin. Mentors provide support for two years, offering ideas, resources, coaching and other assistance as needed. The goal is to help new journalism advisers to establish quality programs, improve their own skills and continue on as advisers. The program is completely free and available to any journalism adviser in his or her first or second year of advising, even if not new to teaching. Illinois’s mentors are Carol Smith, CJE, retired newspaper and yearbook adviser, and Stan Zoller, former journalist and, currently, adjunct instructor in journalism at Lake Forest College. Wisconsin’s mentors are Linda Barrington, MJE, newsmagazine adviser at Mount Mary University, Sandy Jacoby, retired yearbook adviser, and Dave Wallner, retired newspaper adviser. If you are interested in establishing a relationship with a mentor – or if you know of someone who is just taking on the role of a publications adviser, please contact one of the mentors directly. For more information about the JEA Mentor Program, visit its website at jeamentoring.org.